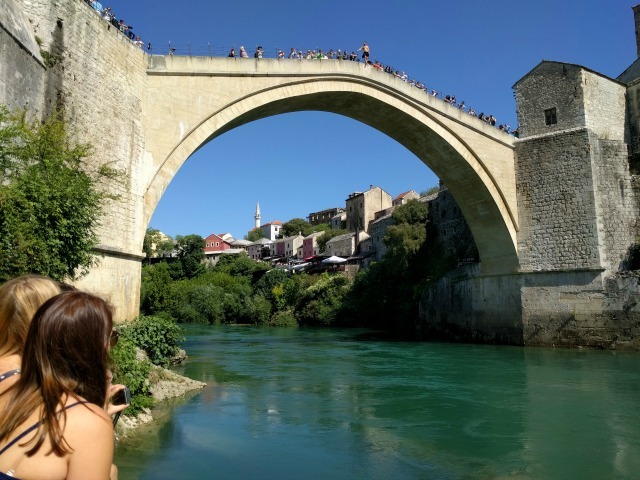 Red Bull has been organizing cliff-diving competitions since 2009, but when it included Mostar on its list of venues two years ago, it came to a place with its own, centuries-old, tradition of diving. Plunging off the Old Bridge in Mostar in southern Bosnia has been a local test of courage for young men for generations. The tradition of high-diving may be older than the famous bridge itself. Everything is ready for this Saturday’s cliff-diving championships that will take place before thousands of spectators. Hotels are fully booked and a platform that raises the height of the jump from the water to the bridge to the required 27 meters is being set up.